is to contribute so that Yoshiko’s Haiku become much more popular in the world and to support one who is endeavoring to attain Yoshiko’s aim of Haiku. This site was founded by Yoshiko Yoshino and is being developed by ones who continue to realize her wish. 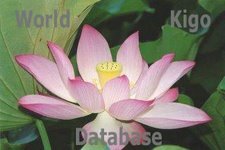 We wish that you would watch this site with warm heart and join to develop it as far as you could. The 5th daughter between Naoyoshi Ogawa，father (linguist，friend of Masaoka Shiki's and winner of an award from the Japan Academy) and Kiku Ogawa，mother. Entered Elementary School of Ehime Prefectural Normal School.Graduated from Ehime Prefectural Girls' School of Higher Education and entered the department of English literature of Doshisha Women's College.Quit college for marriage. Enter the monthly Haiku magazine“HAMA" (the Beach)，1948. Became am ember of the Coterie HAMA，Haiku magazine，1954. Published the monthly Haiku magazine “HOSHI" (the Stars) in January，1979， which has continued to this day. Published yet another monthly Haiku magazine “GINGA”(the Milky Way)，a nationwide extramural correspondence course for the rising generation. Yoshiko Yoshino, born 1915, exemplifies an extraordinary woman figure in modern haiku. She possess great talents in haiku writing, which in a way is no surprise based on her background. Yoshino learned and was exposed to haiku since childhood. 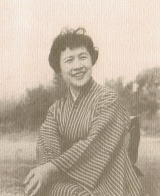 Her father was a friend of Shiki, a haiku master that modernized haiku writing. Mother Yoshiko is not only active as a poet but also works hard to advance the internationalization of haiku by conducting regular international haiku salons in Matsuyama. At these salons, Yoshino encourages haiku writers to write pieces in their own native tongue, and there are no (or very few) other haiku masters who are using this visionary approach.
. Lip, lips (kuchibiru) .
. Shino pottery 志野焼 Shinoyaki .